For a casually elegant ensemble, choose an Asos skinny blazer in black velvet and black jeans — these two items play nicely together. You could perhaps get a little creative in the shoe department and dress up your outfit with black leather derby shoes. 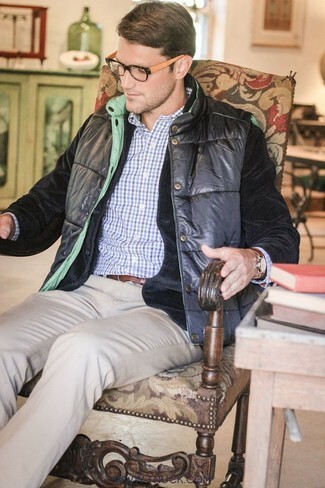 For a nothing less than incredibly stylish look, wear a black velvet blazer and grey wool dress pants. 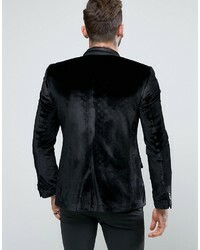 For a look that's classy and totally wow-worthy, dress in an Asos black velvet blazer and black velvet dress pants. 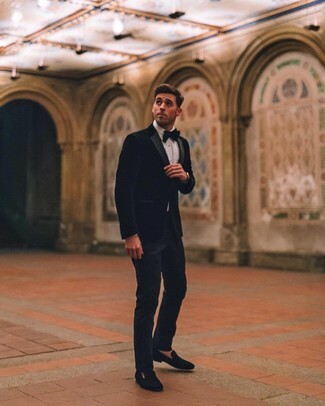 Black velvet tassel loafers look right at home teamed with this look. This combo of an Asos skinny blazer in black velvet and black chinos is very easy to throw together in next to no time, helping you look awesome and ready for anything without spending a ton of time combing through your wardrobe. Amp up the cool of your look by rounding it off with black leather chelsea boots. An Asos black velvet blazer and navy dress pants are definitely worth being on your list of indispensable menswear items. If in doubt as to the footwear, introduce black velvet loafers to your look. For a smart casual ensemble, consider wearing a black velvet blazer and beige chinos — these items play beautifully together.